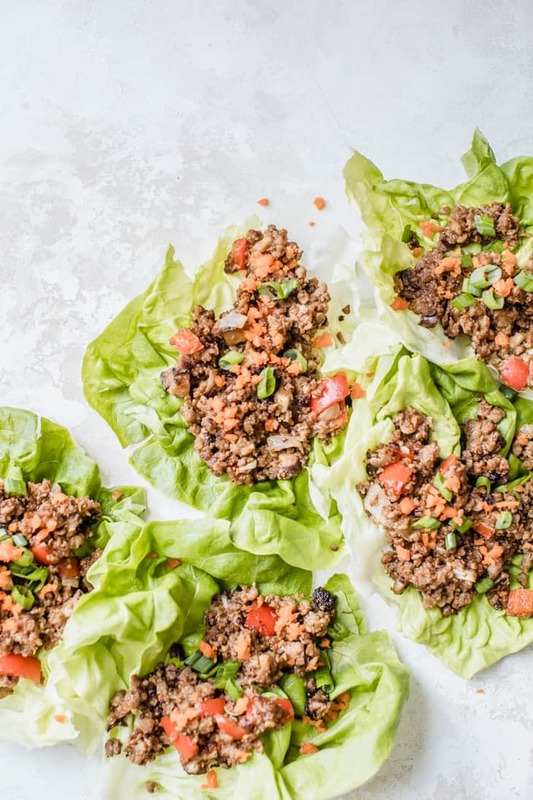 These Asian Tempeh Lettuce Wraps are a simple healthy meal, ready in 30 minutes and perfect for any night of the week! Vegan, gluten-free, and full of flavor thanks to the easy homemade hoisin sauce. Soooo I’m seriously in love with these Asian Tempeh Lettuce Wraps. But would you believe me if I told you I only started eating Asian cuisine on a semi-regular basis only about two years ago?? It’s true. I mean, I told you I was a picky eater, and my family didn’t have much experience with Chinese takeout growing up. It wasn’t until I finally started to learn how to cook on my own, that I realized Asian cuisine was actually quite tasty and could be super healthy. Not to mention cooking up Asian meals at home is easy, cost-effective, and SO GOOD. Stocking your pantry with a soy sauce (I or tamari, coconut aminos, etc. ), rice vinegar, and fresh ginger is a great way to start making your own Asian “better than takeout” dinners. 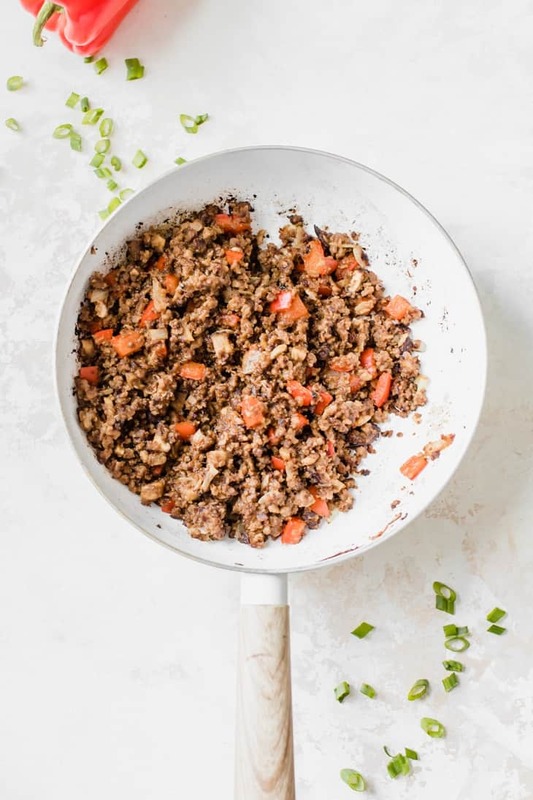 The Kitchn has a great list of more basic ingredients they shared here, which will totally take your Asian meals to the next level, for SHO. Let’s just talk about how easy this meal is though. 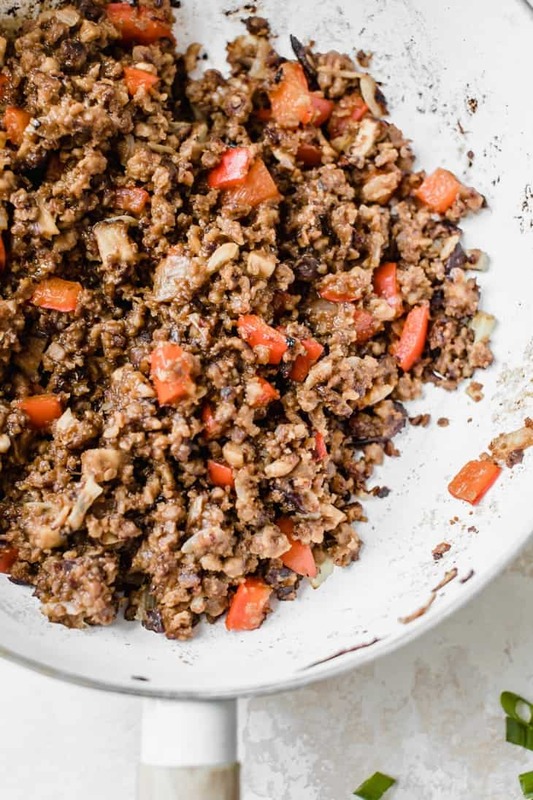 I mean seriously… You marinate crumbled tempeh, have your chopped veggies ready to go, whip up your homemade hoisin sauce real quick, and you basically just cook all of this in the pan for about 20 minutes. Then you just transfer your tempeh mixture into lettuce cups and YOU EAT IT. It doesn’t get much better than that. Vegan, gluten-free, high fiber, plant protein… this dish has got it going ON. For some topping ideas, I like scallions for more flavor, and grated carrots for more texture. But you could also do rice noodles like the good ole P.F. Chang’s version. Avocado is always a good option too. Let me know if you make this recipe by leaving a review and comment on the blog! I love hearing from you and it helps others find the recipe too! Did you grow up eating Chinese / Asian takeout? If you are at an Asian restaurant, what is your favorite dish to order? I have never had luck with cooking tempeh but your recipe has convinced me to try again. Yum! I love PF Chang’s veggie lettuce wraps, minus all the sodium. I can’t wait to try this recipe. YUM! 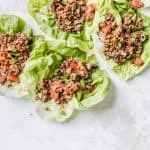 I’ve always had trouble with lettuce wraps because the lettuce at my grocery store is so flimsy lol this looks like good wrap-makin lettuce! Sturdy, the way lettuce should be. lol ok im done, anyway this looks good AF, I’ve never had tempeh though! Need to try! YES! I always like to think I’m down for a lettuce wrap and they fall apart. These look incredible though! Oh man I wish I could come hunt for it with you! Good luck, I really hope you find some! Maybe you can request it at your grocer? These are EVERYTHING. I am so obsessed with tempeh, I eat it straight out the package. I guess I should start actually cooking with it, lol…. Yum! I LOVE tempeh! Pinning! I’ve never had tempeh before, but you’re definitely making me want to give it a try! 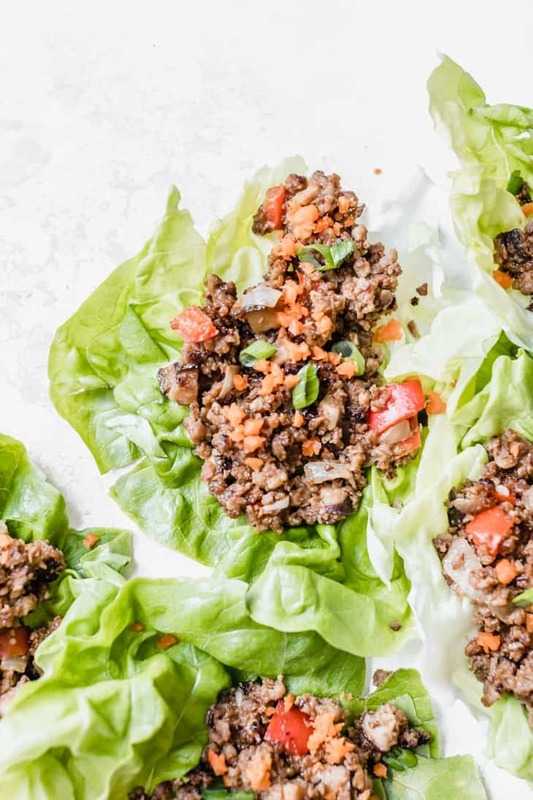 I’m obsessed with lettuce wraps, and these photos are absolutely stunning, girl! Yay! You seriously have got to try it. Let me know if you do! ASHLEY!!!!! AMAZING!!! I sooo need to make these. I used to eat a lot of tempeh (I love the texture) but haven’t in awhile. I feel like I would POUND these down and need like a bajillion lettuce leaves. That’s a good problem to have, right?! I wouldn’t have thought that you were a picky eater, especially after reading through this recipe. Soooo how about we get together and have a little lettuce wrap party?! I have only had one Asian style lettuce wrap before, but it was utterly delicious! This is going to be a recipe I’ll have to try next time I get the chance. When I have Chinese food, I usually go for the general tso.